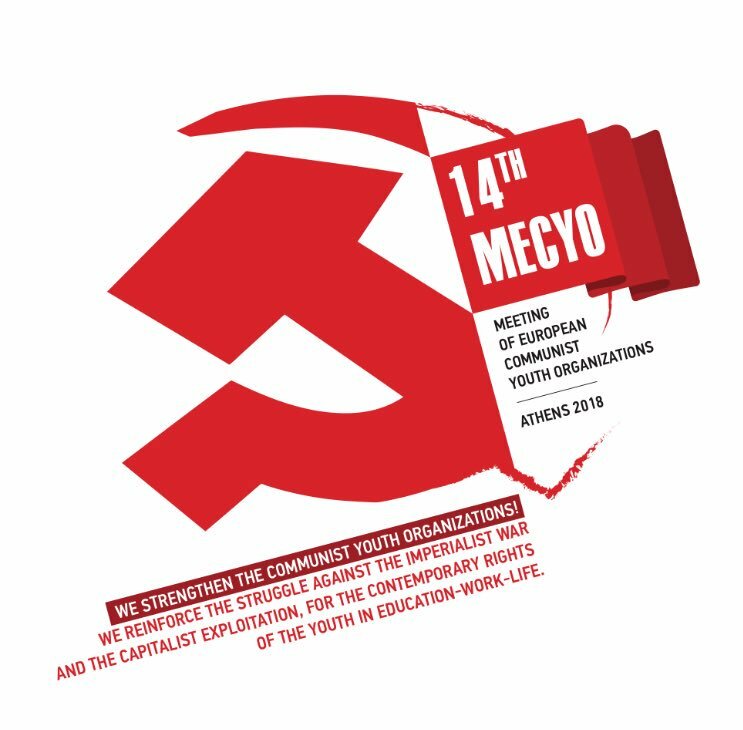 In September 2018 two members of the YCL visited Athens, Greece to attend the 14th Meeting of European Communist Youth Organisations (MECYO) hosted by the Communist Youth of Greece. This was an essential opportunity to build the European-wide working relationships of Communist youth organisations, as well as tell our comrades about the situation and struggles in Britain in the context of young people all over Europe rising up against the capitalist dictatorship of the European Union. This was the speech delivered by our Chair, Johnnie Hunter, to the meeting. We strengthen the Communist Youth Organisations! We reinforce the struggle against imperialist war and capitalist exploitation! For the rights of the youth in education, work and life! We bring greetings and solidarity from the Young Communist League of Britain to this 14th Meeting of European Communist Youth Organisations. We give thanks to the Communist Youth of Greece for hosting this important event and opportunity for Communist Youth organisations from across Europe to meet and exchange ideas and their experiences of struggle. This meeting follows the 10th Anniversary of the beginning of the 2008 Financial Crash, the biggest capitalist crisis to occur since the destruction of the Soviet Union. Britain, as one of the major centres of imperialism, was rocked by this event. Britain’s ruling class is one of the world’s oldest and is adept at exploiting crisis. Their response, as across the rest of Europe, has been to implement the same policies of austerity and attacks on the living standards of working class people. Public services have been cut or privatised. The reserve army of the unemployed has been increased. New anti-trade union laws have been put in place. The capitalist media has sought to divert attention from the problems of the system, blaming immigrants, ethnic minorities and the unemployed for the crisis. This is the context of the struggle in Britain. We face the same challenges that most of the organisations here today face in their own countries. In most cases we face the same aggressor – the European Union. 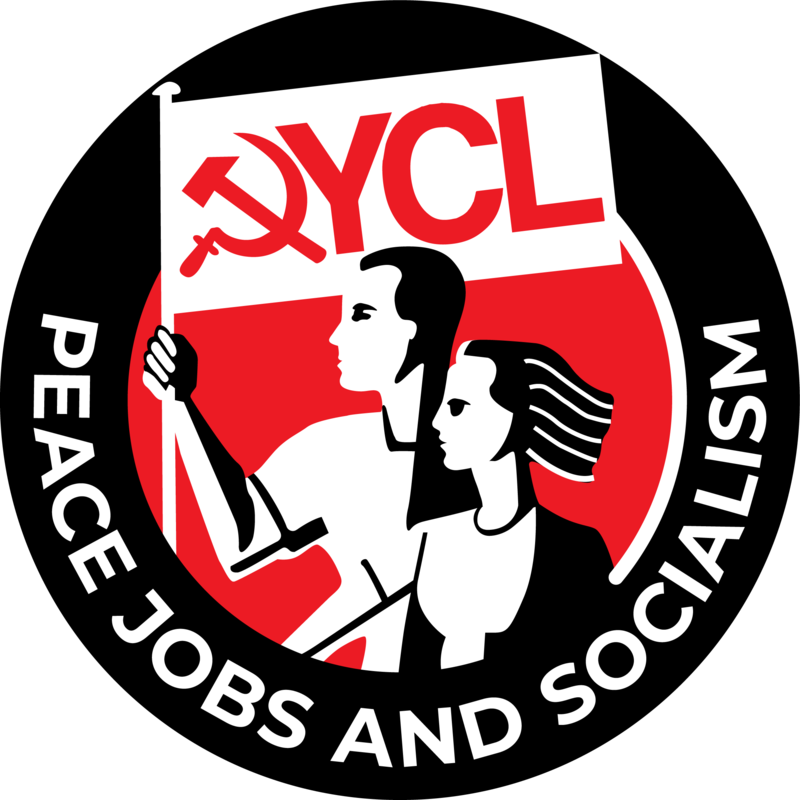 In addition to building the Young Communist League and the Communist Party among young workers and students, the Communist youth in Britain currently have two interrelated priorities – to remove the pro-austerity anti-worker Government of Theresa May’s Conservative Party, and to deliver a real People’s Brexit, a complete break with the neoliberal European Union. The Brexit referendum came about not only as a result of working class discontent with the European Union’s anti-democratic pro-austerity policies. The referendum also reflected a division in Britain’s ruling class and in the Conservative Party which represents them. One section of our ruling class favouring continued alignment with the European imperialist bloc and the other section seeking an even closer alignment with US imperialism. The Brexit referendum which was called by the Conservative Party as a way of overcoming these divisions instead offered British workers the chance to be at the vanguard of the struggle against the European Union. Britain’s Communists view the Brexit vote as a popular and democratic expression of the sovereignty of the peoples of Britain and a rejection EU diktat. At the same time, we appreciate the Brexit vote was far from perfect. A significant element of the vote was anti-immigrant and xenophobic in nature. These are sentiments which have grown in strength across the European Union as a result of its policies. However, the capitalist media has attempted to exaggerate this element of the vote. They would have us believe that British workers are too stupid to care about democracy and national sovereignty and would cast a vote only on the basis of racism or nationalism. The reality is that most British workers voted for Brexit to reclaim powers and sovereignty back from Brussels. It would be insincere to deny that the Brexit vote wasn’t greeted by elements of the far right in Britain. However since then we have seen a total collapse of the far right electorally. We totally reject the position of ultra-leftists and so-called socialists who advocate remaining in the European Union in one way or another. Uncomfortable though we may be with aspects of the Brexit vote, it is the duty of communists to approach political reality as it is, not how we would like it to be or wish it was. Communists do not conduct the struggle from an ivory tower. Whilst we continue our campaign for a people’s Brexit, the Conservative Government continues to try to dominate the agenda. Their strategy, along with their friends in the capitalist media, has been to obscure the negotiations with intricate detail in order to make Brexit as complicated and inaccessible as possible. The reasons for the Government’s charade are obvious. The government is determined to deliver a Brexit in name only. They seek a deal which benefits the ruling classes of both Britain and Europe. They seek a Brexit which leaves Britain closely tied with and involved in the single market. Where Britain is still subject to rules on state aid and public ownership, preventing an economy based on socialist principles. Britain’s Communists reject this and fight to overcome the efforts to mislead the workers. We fight for a people’s Brexit which means a complete break with the European Union and the Single Market. This will allow Britain to build an economy based on public ownership. Although Britain’s workers are not yet filled with revolutionary fervour, our government underestimates the level of class consciousness. Britain’s workers remain determined to free the country from the shackles of the European Union. Nevertheless, the Conservative dominated media is relentless in its efforts to prevent a peoples Brexit. The solidarity of Europe’s Communists is of fundamental importance to us. When we point to our sister Communist youth organisations across Europe we can show that, far from being racist or xenophobic, opposition to the European Union is a truly internationalist position. Whilst the fight against the European Union is progressing in various European countries, Britain and its allies remain firmly committed to the imperialist and militaristic NATO alliance. At the same time as Britain has declined as one of the foremost imperialist powers, the subservience of our ruling class to US imperialism has become increasingly obvious. 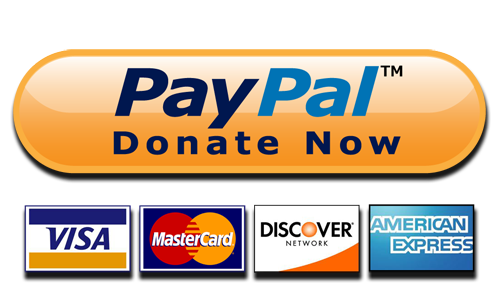 Following the 2008 financial crisis NATO has become increasingly unpredictable and aggressive in its efforts to protect and advance the interests of the Western capitalist powers. This is most tragically evidenced by events in Ukraine. Communists in Britain and across Europe must once again put to the fore the struggle against NATO. We fight for immediate withdrawal from NATO and an independent foreign policy based on peace, respect for national sovereignty and cooperation. Comrades, we are part of truly global political movement and tradition. For the first time since the defeats of the 1990s, before many of us were even born, momentum is shifting back to the socialist camp. In Britain a new generation of workers and students rally under the banner of Communism. Across Europe and indeed the planet, Communists are on the march. In our hands and in our hearts is the birth of a new world based on cooperation and human freedom, free from the exploitation of man by man. Britain’s young Communists stand with you in your struggles and we ask that you stand with us in ours. No to the dictatorship of the European Union! For peace and socialism in our lifetime! Previous Greetings to the YCL of the Donetsk People’s Republic!